Take the guess work out of updating your resume. Empower your personal brand. We turn your resume into a visual marketing tool. A resume is the main element you need to apply for a job. To get your chance at an interview, you need a document you feel confident stands up against the fierce competition. A document you feel confident in sending 100 times over. We’re here to help you create a brand new resume to guarantee your success. Your resume will be written by our best writers within your industry! Discuss your requirements with our writers. Direct call and livechat are available! Only the best Writer in your professional area will take your order and you’ll get a high-quality product! Get a draft of your Resume and request any changes before receiving your final document. Our writers will work on your order until you confirm it! Professional support is included since we always control quality. Turnaround time is 1-2 days after an interview was conducted! Fast delivery is available! You can always get your Resume in time to apply for your dream job. Professional Resumes and Networking Profiles at your fingertips! Resume writing and LinkedIn profile development are what we do best here at MJW Careers. We work with you to gather all the necessary information we need before building a unique resume or LI profile from scratch. From chronological resumes, to targeted resumes, to non-conventional resumes and functional resumes, we are experts in creating any and all types of resumes. We have a team of writers from many different industries who are trained copywriters and have a solid grasp of the written English language. This means that we can offer unique resume writing, related to your specific field, which sells your skills and talents. Our writers have advanced writing skills and know how to create a resume that really speaks to a prospective employer, putting you ahead of all the other candidates. We’ll use relevant action verbs, quantifying statements that show you impacted the bottom-line and maintain brevity to personalize and show your story to all readers from recruiters to hiring managers. We utilize a science behind our resume writing services. You only have 8 seconds to appeal to hiring managers and recruiters, so make it right. Yes, avoid bombarding recruiters with a resume for multiple jobs. They know who you are even after one submission and they will contact you if they think you’re a potential fit or match for a position. Also, adhere to the job posting. If it tells you direct instructions, follow them. It’s not optional. Real resume writers avoid “fluffy” statements and task-oriented verbiage. We need to make you shine and in doing so, we follow strict rules when it comes to developing your line items. Real resume writers don’t just copy and paste job descriptions, we conceptualize the bottom line impact you had on your employers and showcase it accordingly. 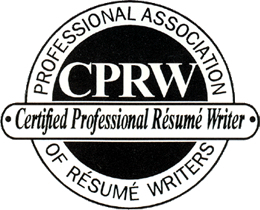 I am a Certified Professional Resume Writer (CPRW). I enjoy helping people achieve their goals and help impact their livelihood. Jobs are important. Interviews are important. So having a resume to stay competitive is important. I take my job very serious. We need to make you shine, people in your life are counting on it. Do you have a favorite story from your work? Once I had someone cry on the phone during a resume writing consultation, because of her recent layoff and anxiety that came with this redundancy. I was able to coach her through this transition period she was in and explained to her that this was a chance for her to do something new and exciting and that fear shouldn’t drive this process. I told her to own the process and work through small changes one day at a time. She got hired on by a firm about three weeks later and even sent me a thank you card. I began as a recruiter at a staffing company, transitioned into full-time human resources recruiter openings and then began my own firm, MJW Careers, LLC. We provide resume writing, career coaching and outplacement solutions. How do we utilize the applicant tracking systems (fancy way of saying those “keywords” in your resume that hiring folks use to search for talent)? We write all of our resumes in adherence with best resume writing practices. This includes incorporating keywords and strategies for the digital application process. The way we represented your resume within the ATS requirements is by implementing key words that relate to your background and that best match your targeted job title. If we missed any, please do send me some and I will incorporate accordingly. Should you have to make future revisions, I would leave the keywords there and maybe add a few more based on your skill sets at that time. You need to sell yourself at an interview and I’m the one that can give you a road map for that journey. This morning I wrote a resume for a Chief Information Officer, a Call Center Specialist, an Operations Manager, a Sales Manager of Client Services, and a Mortgage Loan Underwriter. I do everyone and anything. After 12 years, you’ve seen them all. What is Matthew Warzel's Resume Writing Bio? As a trained copywriter and certified resume writer (CPRW credential) possessing a solid command of the written English language, I offer unique resume writing, related to your specific field, which sells your skills and talents. I know how to create a resume that really speaks to a prospective employer, putting you ahead of all the other candidates. I’ll fashion the resume to allow employers the ability to review your transferable skills, proficiencies and industry ‘speak’. I’ll focus on strong action verbs and highlighting your accomplishments with special emphasis on PAR (Problem-Action-Result)- and metric-based, quantifiable verbiage that demonstrates specific impacts to the employers’ bottom lines, while still maintaining brevity. We need to show you impacted the bottom-line, while personalizing and telling your story to all readers from recruiters to hiring managers. I like to take the guess work out of updating your resume. Empower your personal brand. I turn your resume into a visual marketing tool.